•	Noted pioneer in the Angus breed, Johnson Workman (brother of Grandmother Cora Workman McCurry) started his registered Angus herd in 1913 in Kansas. 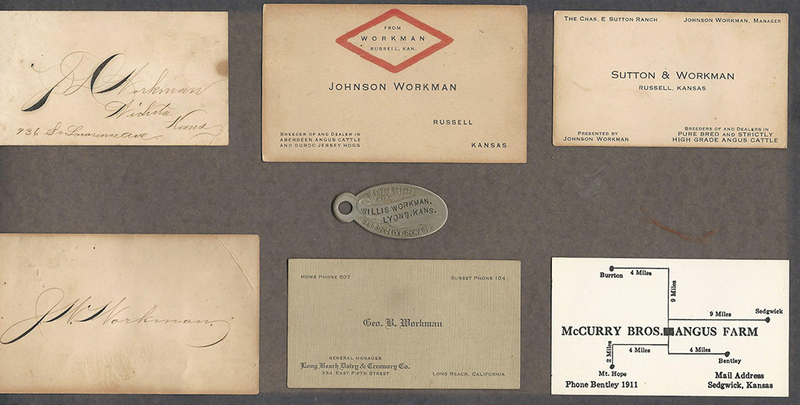 Workman cattle won many Champion Carlot shows at the American royal and International Stock Shows in the 1920s. 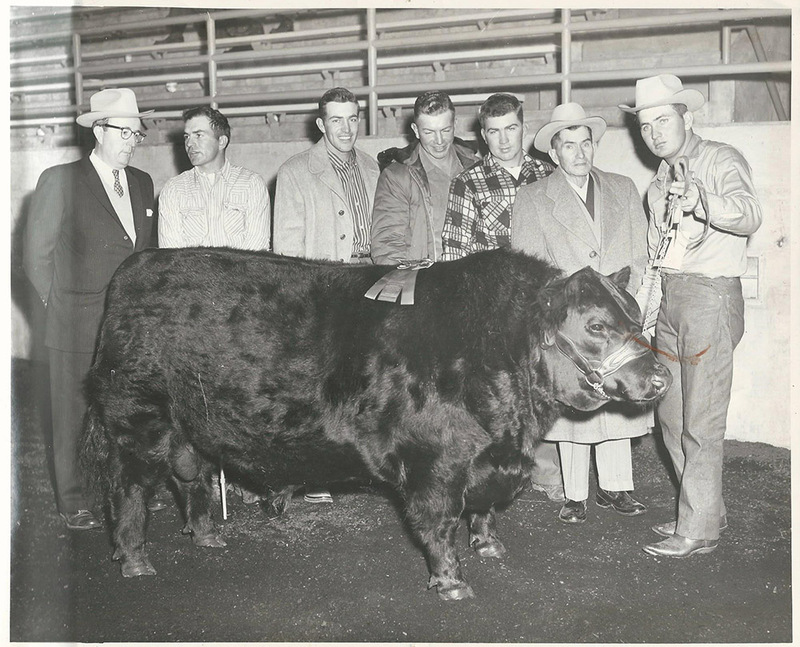 •	90 years of Angus history….1928 is the year Walter McCurry purchased two Angus heifers from his brother-in-law Johnson Workman, noted pioneer in agriculture & the Angus breed, who established his herd in 1913. 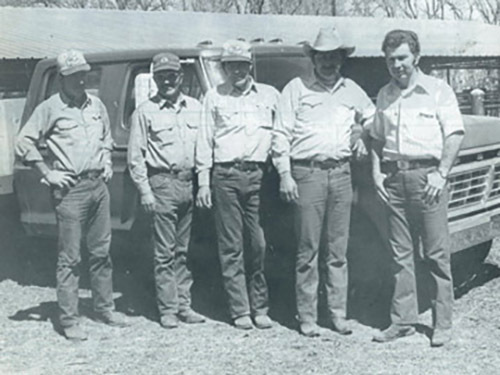 •	McCurry Bros Angus partnership was established in 1958 and consisted of 100 registered cows and one section of land. 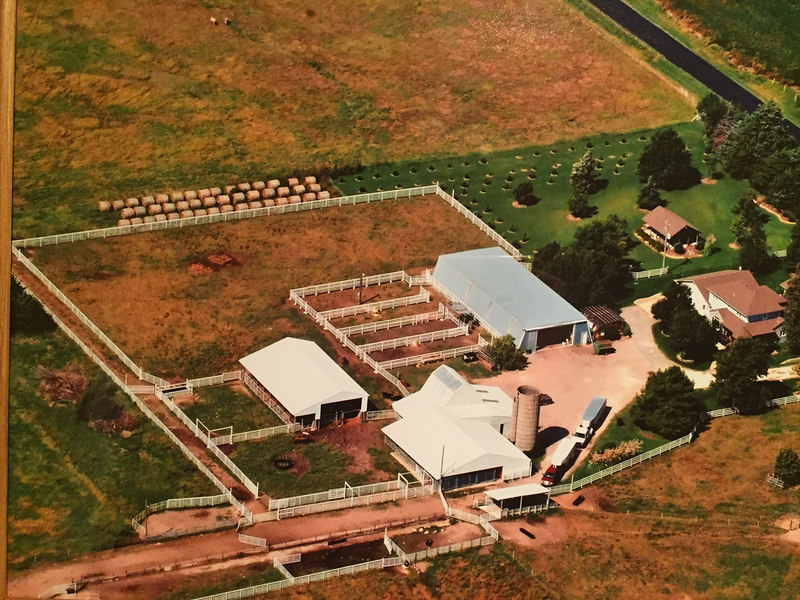 Andy’s father, A.J., was the eldest of the 5 McCurry Bros.
An aerial photo of Andy and Mary's home place and the current ranch headquarters in Burrton, KS. 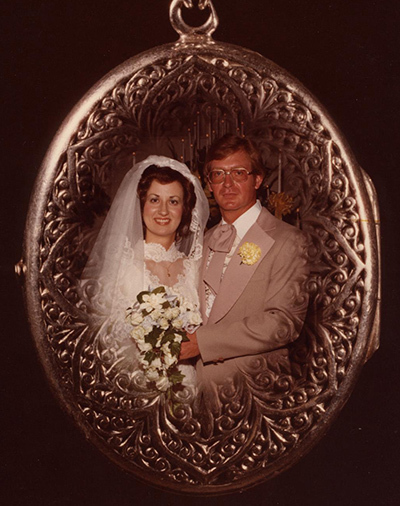 •	1977 – the marriage of Mary & Andy, two 3rd generation Angus breeders who began their own “start-up” operation. 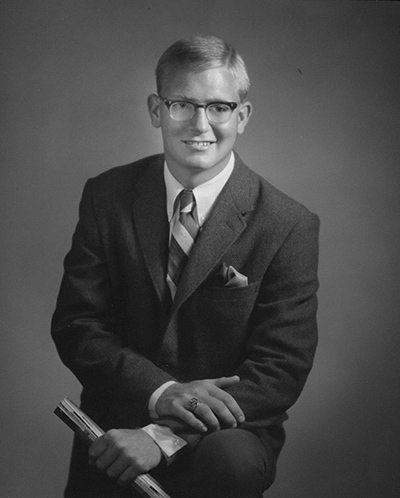 Mary’s father, John Sanford Smith, began his Angus herd in 1955 (after losing an arm in a hay baler accident his dairy herd was dispersed and a registered Angus herd started) and subsequently served on the Board of the American Angus Assn during the timeframe the Certified Angus Beef program was initiated. •	The “Marands” prefix found in the earlier generation pedigrees were Andy & Mary’s original foundation herd. This has been transitioned to the “McCurry” prefix since 2004 when John returned home from college (KSU). •	Today the ranch Operates on almost 2000 acres of sandhill pastures near Hutchinson, KS, McCurry Angus focuses on land and resource management ever mindful of improving soil health = animal health. Incorporating cover crops, crop residues, no-tilling fall/winter forage systems into warm season pastures (Bermuda) provides a compliment to summer pastures utilizing sandhills and Flint hills pastures located in 3 counties. 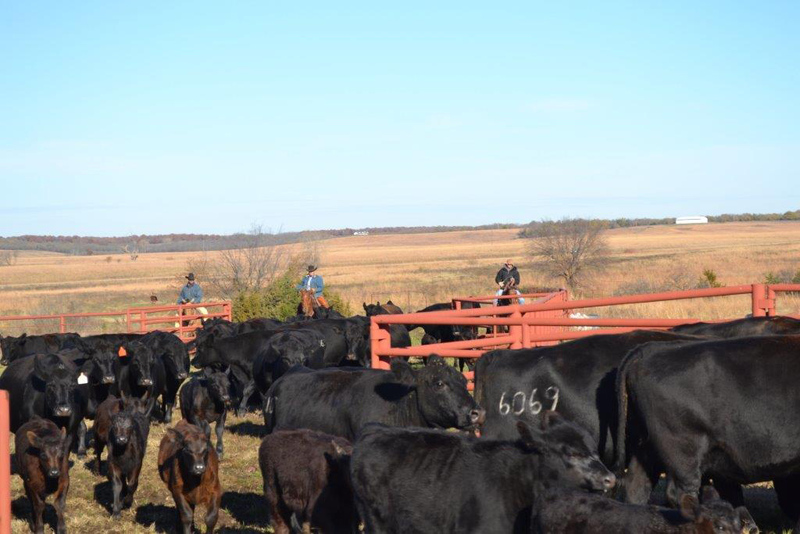 •	Spring and fall calving herds provide bulls to meet their customers needs for the annual production sale held 2nd Thursday in March each year. 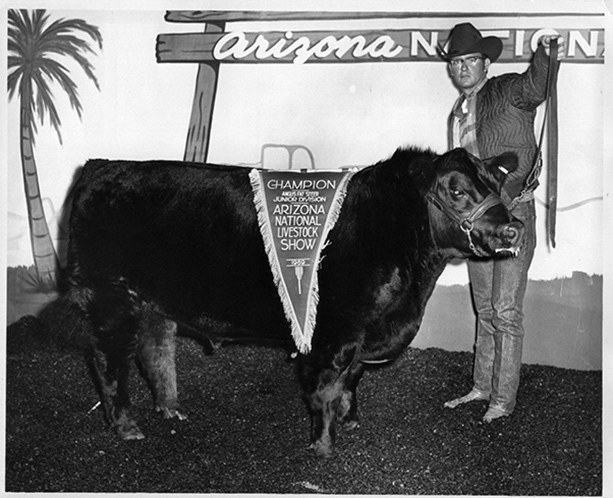 •	As we head into the 41st year of our own personal Angus tradition we are mindful of the previous 50 years of Angus legacy synonymous with the McCurry name. It is humbling to think that what started out with 7 heifers out of seven (7) distinct cow family lines, no land, no facilities, no equipment AND no financial backing other than themselves has evolved into the family based operation it is today with John and Melody & family marking the 5th generation! Not every generational operation is blessed with this ability!